Ruby Walsh has quashed any rumours about Faugheen's wellbeing by stating the 2015 Champion Hurdle winner "looks a million dollars" and could make his eagerly awaited return in the Ryanair Hurdle at Leopardstown on December 29. The Willie Mullins-trained star produced arguably the best performance of his career when destroying his rivals in the Irish Champion Hurdle in January, but was forced to miss the spring festivals after picking up a suspensory injury. 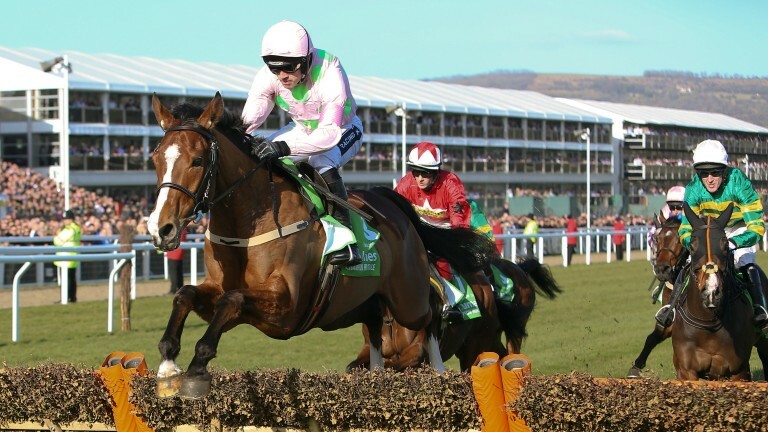 Faugheen does not feature among the entries for the 32Red.com Christmas Hurdle at Kempton, a race he has won for the past two seasons, but Walsh has revealed the seven-time Grade 1 winner has been working as well as ever and a return is just around the corner. Writing in his Racing UK blog on Wednesday, Walsh said: "He’s grand, not a bother on him. I’d imagine he’s in the Ryanair Hurdle at Leopardstown on the 29th. I don’t know if he will run there, but it won’t be too long until you see him. "I rode him yesterday and he’s fresh and well. He looks a million dollars. Does he retain all his ability? Oh God, he does. I would not be too worried about him." Mullins and Rich Ricci could still win the Christmas Hurdle for the third straight season as Vroum Vroum Mag, who lost her unbeaten record for Mullins when beaten by Apple's Jade in the Hatton's Grace Hurdle, has been given an entry. She could clash with Yanworth, The New One and 2013 winner My Tent Or Yours, who were among the six left in on Wednesday. Yanworth, who will be having his first start at two miles since he won the Sky Bet Supreme Trial at Ascot a year ago, puts his Champion Hurdle credentials to the test and the sponsors make him 15-8 favourite, with Vroum Vroum Mag at 5-2. Yanworth will meet two Christmas Hurdle regulars in My Tent Or Yours and The New One, who were separated by half a length in the race in 2013. Dan Skelton's recent Haydock winner Ch'Tibello, who is a best-priced 8-1, and the 63-rated Gray Wolf River, a 5,000-1 shot with the sponsors, are the other two to be given an entry. Kempton's going was left unchanged at good, good to soft in places on Wednesday, with between five and ten millimetres of rain forecast up to and including next Monday.